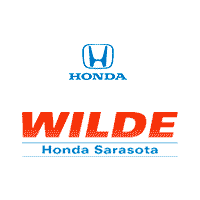 If you’re looking to take on the streets of Sarasota in a new Honda, be sure to rely on the current Honda special offers available at Wilde Honda Sarasota. When you work with our friendly sales staff and knowledgeable finance department, you can count on us to find the right model for you at a price that won’t break your budget. Ready to simplify the car-buying process? Then it’s time to head to Wilde Honda Sarasota to take advantage of our various Honda deals. Once you take a look at our available discounted Honda in Sarasota, be sure to pay us a visit whenever you’re ready to take your favorite model for a spin. If you have any questions along the way, feel free to contact us to learn more about our current specials or new vehicle inventory! In the meantime, keep an eye out for the offers on the new Honda Civic. For well-qualified customers who meet Honda Graduate Program criteria, subject to approval by Honda Financial Services (HFS). Bonus offer applies toward any new 2018 or newer model year Honda when financed or leased through HFS. Only offered at participating dealerships. Only one $500 Honda College Graduate Bonus offer per vehicle. Offer valid through March 31, 2020, and may be terminated at any time. Verifiable proof of employment or firm commitment from an employer with start date no more than 120 days from date of finance contract. Must have graduated in past two years or will graduate in next six months. No adverse credit history. Master’s, Bachelor’s or Associate degree from U.S.-accredited college or registered nursing school. Provide Honda dealer with credit and document requirements. Expires March 2020. New 2019 Honda Accord LX Sedan, AT. 36 month/36k mile leases. Offers include all applicable incentives. $844 Due at signing includes zero down payment, first payment, $0 security deposit and $595 acquisition fee. Tax, title, license, $148 Private Tag Agency Fee/EFF and $799 dealer pre-delivery service fee extra (charges represent costs & profits to dealer for items such as inspecting, cleaning & adjusting vehicles and preparing documents related to the sale). Offers apply to well-qualified buyers and require approved credit with 710+ beacon score. Not all buyers will qualify. Offers not valid on previous purchases. Residency restrictions apply. Dealer not responsible for typos or omissions. Offers end 4/30/19. New 2019 Honda CR-V LX, 4DR SUV 2WD. 36 month/36k mile leases. Offers include all applicable incentives. (E1) $843 Due at signing includes zero down payment, first payment, $0 security deposit and $595 acquisition fee. Tax, title, license, $148 Private Tag Agency Fee/EFF and $799 dealer pre-delivery service fee extra (charges represent costs & profits to dealer for items such as inspecting, cleaning & adjusting vehicles and preparing documents related to the sale). (E2) 1.9% APR for 36 months = $28.60/$1,000 borrowed on select new models. Offers apply to well-qualified buyers and require approved credit with 710+ beacon score. Not all buyers will qualify. Offers not valid on previous purchases. Residency restrictions apply. Dealer not responsible for typos or omissions. Offers end 4/30/19.